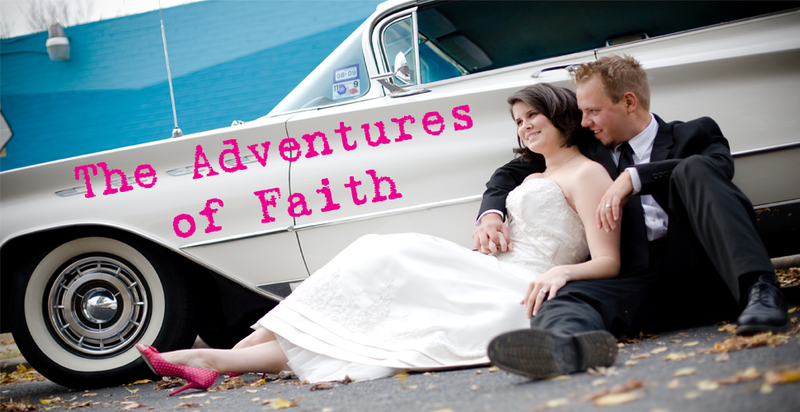 The Adventures of Faith: We Have Growth! 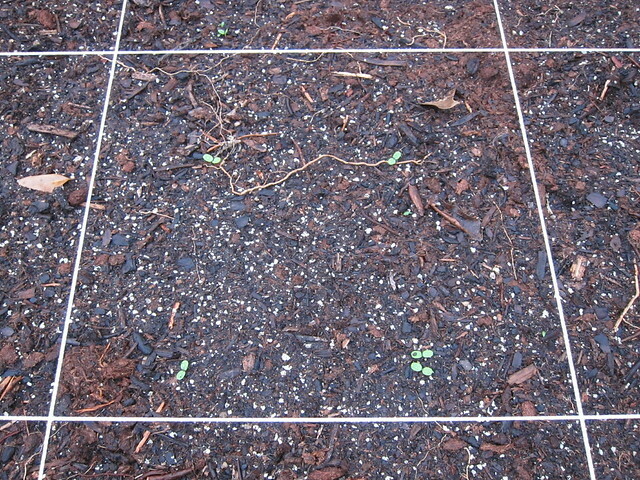 Last night I went out to check on the seeds I planted last week and things had already started to sprout! This MAY be a spinach plant or it could be grass. Kind of hoping it's grass because it's the only thing the sprout in the 3 spinach squares and I really hope I don't have that bad of luck with it. 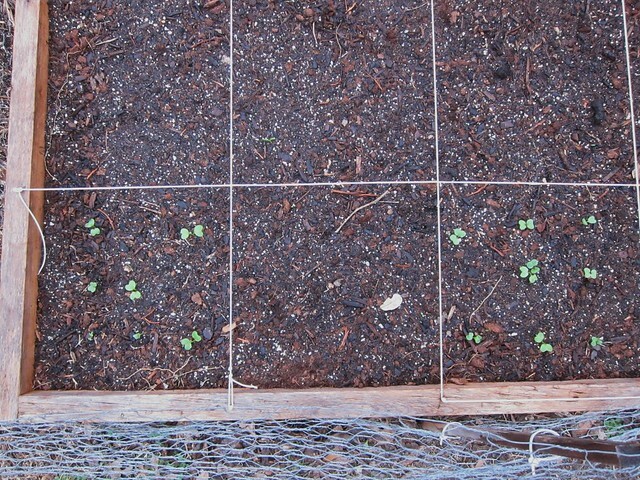 Here are some lettuce plants that are sprouting as well. Inside the new seeds that I started have finally taken off! 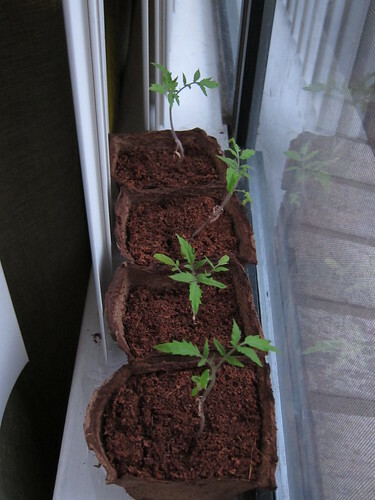 The 4 Amish Paste transplants look great. 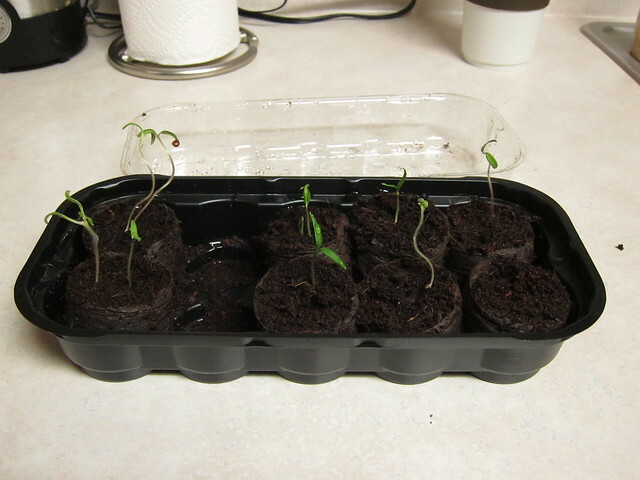 In this one I have 4 Amish Paste on the left, then 3 jalapenos and 2 cherry. 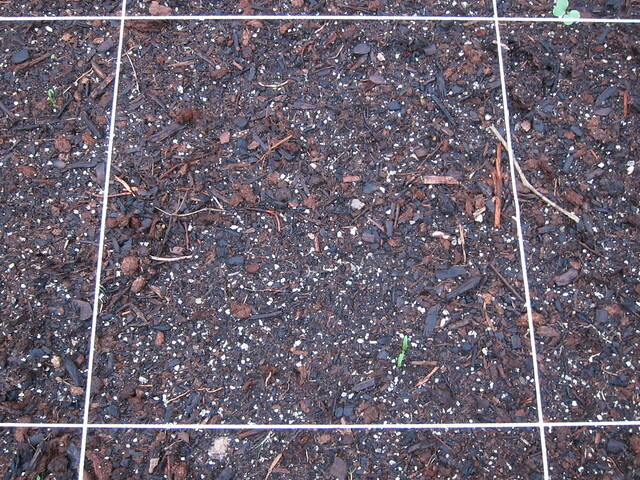 The lone cherry seedling that I had last week died. 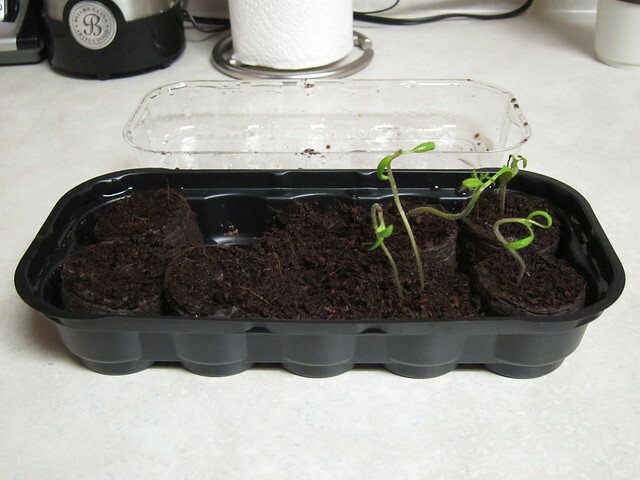 I only need one plant so I'm going to transplant these two and see how they do. In this container the Better Boy tomatoes are finally going, but no bell peppers. 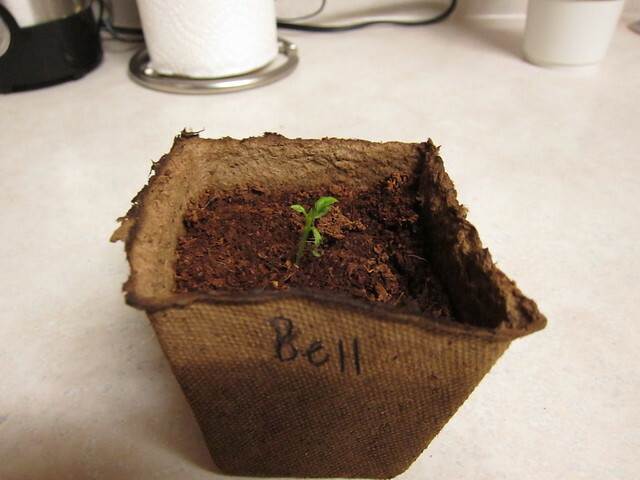 I did get one bell pepper that I've transplanted since it had it's second set of leaves. Hopefully it survive. I may just have to buy pepper plants this year. I am so jealous. The only bare ground I see is blacktop and that's sparingly. Looks good, Matt said we aren't having a garden this year. :( I still think those are muffins. I need more gardening posts sis. Gotta compare results.